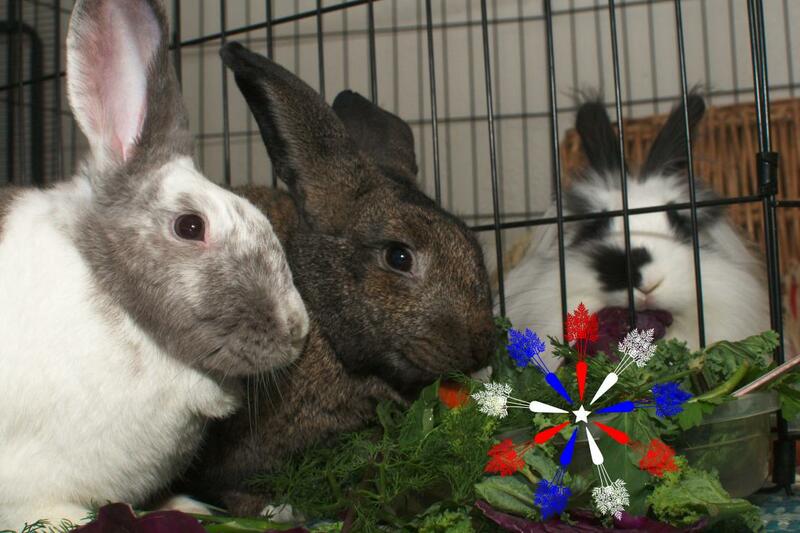 Disapproving Bun: Hoppy 4th of July Everybunny! Take it easy in the Sun and enjoy the roasted carrots! You're having roasted carrots, right? PS: Couple of guides for keeping everybunny safe when fireworks are involved. Roasted carrots - the National food!!! Fold your ears over and crawl under the covers. We American 2-foots go nuts (more so) today! I give the cats extra treats to soothe them through nearby illegal fireworks. Does this also work for rabbits? We did the same :-) Not sure who benefited more from this, the bunnies or the hoomins :-) Well, they glad to have the treats and seemed to disregard the mayhem outside.